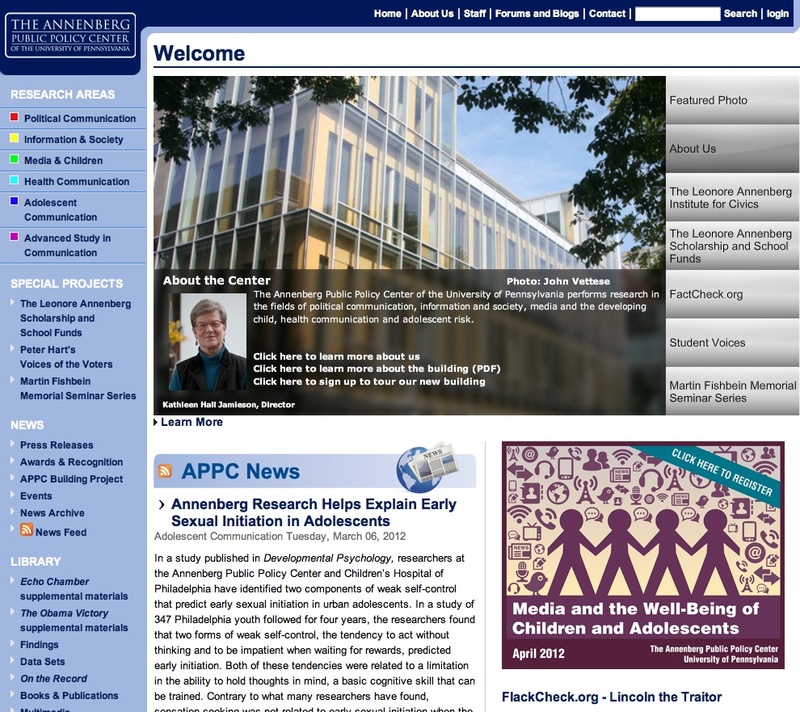 Established in 1994, the Annenberg Public Policy Center of the University of Pennsylvania conducts and disseminates research, hosts lectures and conferences, and convenes roundtable discussions that highlight important questions on the relationships between media, communication, and public policy. APPC’s work has informed the policy debate on key issues as campaign financing, children’s television, internet privacy, tobacco advertising, and the tone of public discourse in Washington. Scholars at the Policy Center have offered professional advice about covering difficult stories, including terrorist threats, suicide, and mental health. This website offers free access and downloading options to a vast amount of full-text documents. A simple search option is provided, along with several link pointing to related resources and RSS news feed subscription. The general content has a good updating rate, particularly the many news items — with great relevance for current affairs and political matters. Managed by a team of experts and professionals, the Center has offices in Philadelphia and Washington, and this website features an effective outline and an easy navigation, despite its lack of dynamic elements.